Incorporating everything from modern, sleek lines through to traditional and detailed designs, the element collection will have just what you are looking for in a cheap rug. If your space is filled with deep colours and floral patterns then a modern twist on the traditional floral style, such as the Element Solo rug, will look perfect in your home. Alternatively, if you have a light, colourful and funky space then the Element Bohemia rug was made for you! 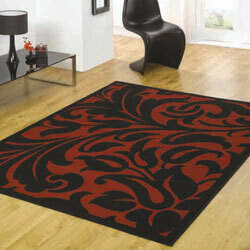 Not only are all of these rugs stunningly designed, they are also machine woven to an excellent quality. Creating a long-lasting, durable and colourfast rug, perfect for your home.